Founded in 2012, composer Dave Flynn's Irish Memory Orchestra features classical and traditional musicians who play completely by memory. 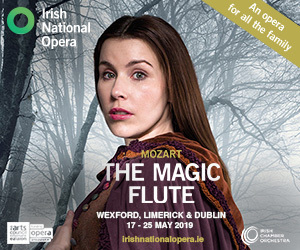 In their latest tour, performing in Ennis, Cork and Kilkenny, they were joined by soloist Máirtín O'Connor. Ian Bascombe reviews. 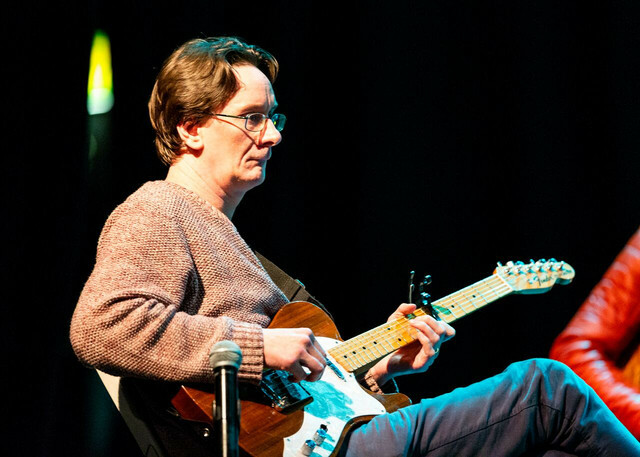 It’s six years since composer/guitarist Dave Flynn founded the Clare Memory Orchestra for its inaugural concert at Glór: six years witnessing numerous performances across Ireland (including at the National Concert Hall), foreign tours, collaborations with some of Ireland’s best-known traditional musicians (notably Martin Hayes and Mick O’Brien), and a name-change – to the ‘Irish Memory Orchestra’ – reflecting the ensemble’s growing stature and outlook. Founded to exhibit Flynn’s genre-traversing compositions, but particularly drawing on strengths in traditional and classical music, the project’s thumbprint is the commitment of music to memory, encouraging spontaneity and improvisation. 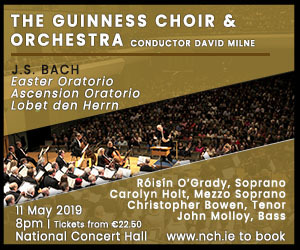 A concert at Glór on 5 October represented an annual home-coming (albeit, disappointingly attended), and included material that spanned the orchestra’s history. Selections from the Clare Concerto (premiered in 2013) framed and flavoured the evening with soundscapes evoking Shannon Airport and the Cliffs of Moher: a tenebrific cello solo, ‘The Maghera Mist’, was skilfully executed by Maria O’Connor, and contrasted sharply with the free-wheeling ‘Kilbaha’ jazz vignette. 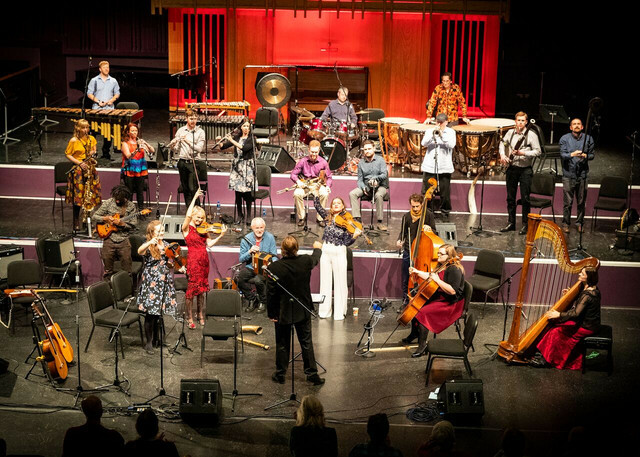 Diverse, and occasionally challenging, Flynn’s re-imagined traditional music of the county was kept fresh and vivacious by conductor Bjorn Bantock. ‘Sadb’s Lament for the Fallen King’ from Mná Brian Boru (premiered 2014) brought an emotional shift. 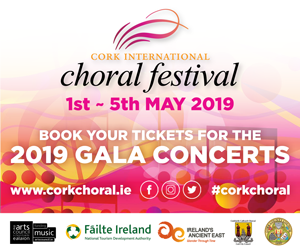 Guest vocalist Róisín Donohue introduced an uncluttered, sombre intensity to the piece before the full orchestra brought it to a majestic climax, characterised by harmonic dissonance and resolution as Donohue was joined by Niamh Varian-Barry and other singers from the ensemble. 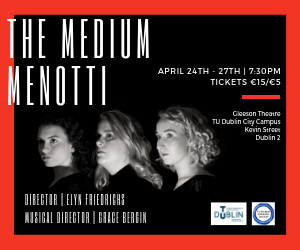 Flynn continuously seeks to expand the IMO’s sonic capacity and repertoire, and now includes arrangements of other composers’ works; notably those of guest artist button-accordion virtuoso Máirtín O’Connor, well-known for his musical excursions ‘outside the box’. His playing was by turns introspective, as in the soulful air ‘Annaghdown Pier’, and playful, as in the jig ‘Rockin’ The Boat’, wherein the orchestra flexed its traditional music muscle as the dynamic swelled and the tempo gathered momentum. Although familiar material was much in evidence, also premiered were new arrangements of songs featured on previous Flynn recordings (notably the acclaimed ‘Pouric Songs’ by D.F.F.). 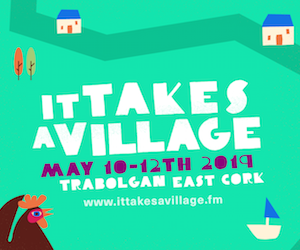 In ‘The Mad Magician’, phantasmagorical sounds of Ireland’s past from Billy Mag Fhloinn’s horns segued into extended vocal lines, interspersed with soukous-inflected slip-jig rhythm on electric guitar, provided by Niwel Tsumbu and Flynn. The prevailing timbre continued into ‘Stone Walls’, where a dreamy vocal improvisation engendered an infectious dance-groove. Flynn is clearly fascinated by African guitar styles and uses them to frame Pádraic O’Beirn’s poetry in new variants of the art-song tradition. An eclectic selection of global and temporal influences were astir, but perhaps orchestra and audience were most comfortable when the Clare Concerto traditional music grooves were showcased: feet were tapping everywhere to pieces such as ‘Bell Harbour Droneys’ (featuring the superb Jack Talty on concertina) and the ‘Minimalist Reel’, which was repeated as an encore. 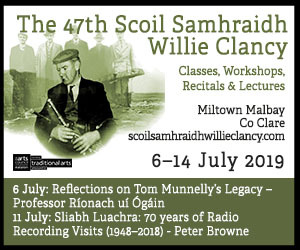 Musician and man of letters Gearóid Ó hAllmhuráin recently suggested that ‘cultural flows resonate strongly in Clare… it has managed to indigenize musical currents from across the globe’. 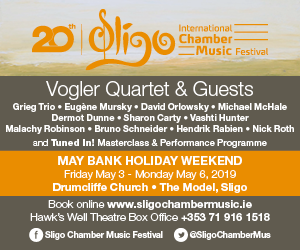 Seemingly reaching out from its secure foundation in traditional music, the IMO has tuned in to those global currents and brought them home to Clare. 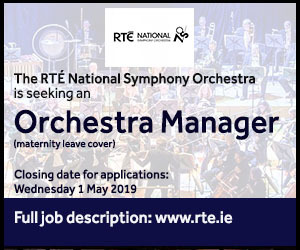 Six years in the flow, it is still the only professional orchestra in Ireland without central funding. €11k for project involving Clare Arts Office, 3L, NCBI and the Irish Memory Orchestra. 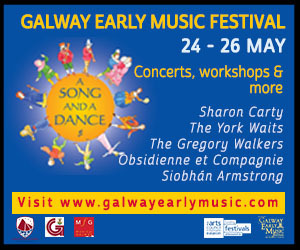 Composer to write work for uilleann piper Mick O’Brien and ConTempo Quartet.